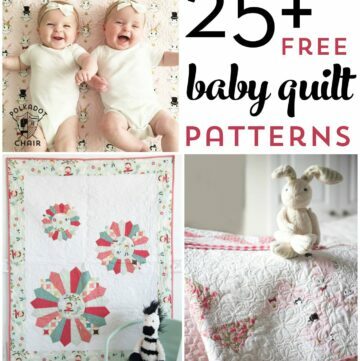 You are here: Home / Quilts / Rail Fence Baby Quilt Tutorial – Beginner Friendly! 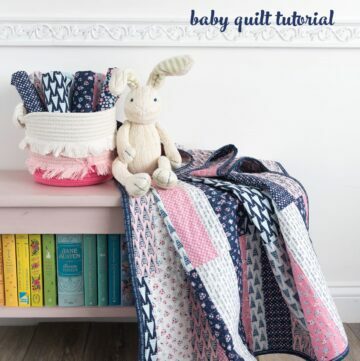 Rail Fence Baby Quilt Tutorial – Beginner Friendly! 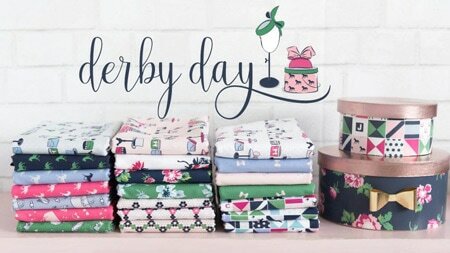 Amy from Diary of a Quilter is sharing a free tutorial for a Rail Fence Baby Quilt for the next stop on our Derby Day Fabrics blog tour! If you like this project then you may also like this Oversized Patchwork Star Baby Quilt Tutorial. If you’ve been a long time reader then you know that I’ve known Amy from Diary of a Quilter for a long time. We met YEARS ago at a blogger event. There were only 20 of us there and I think it was hard to even find 20 people to attend if you can believe that. My how times have changed! 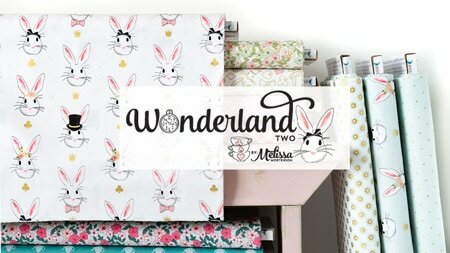 Amy writes a fantastic blog that is full of quilt tutorials and projects. 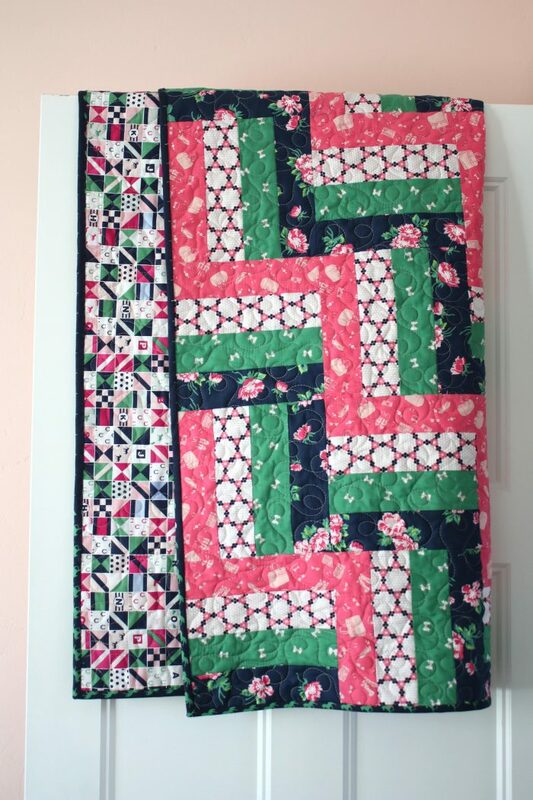 She manages to blog about quilting all while maintaining a great mix of quilting and “real life”. 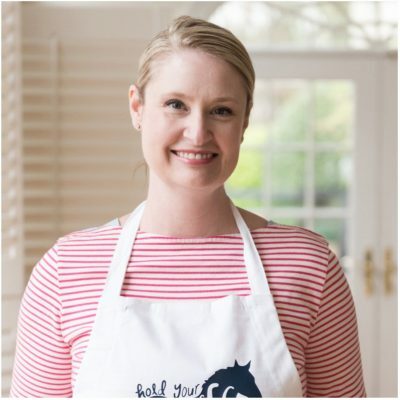 She’s also a Craftsy instructor and her class Pre-Cut Shortcuts talks all about ways to use pre-cut fabrics to simplify and speed up your quilting projects! You can read about her class HERE. 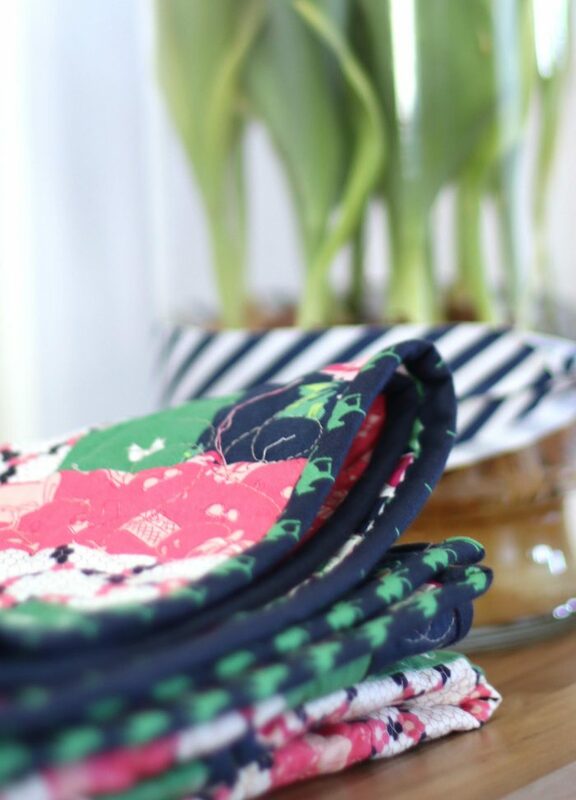 For her project for the blog tour, Amy is showing you how to make a VERY simple rail quilt. 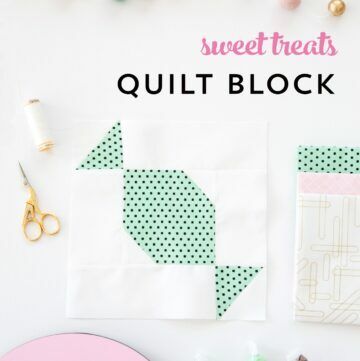 She uses some fun quilting shortcut which saves loads of time, and give the appearance that the quilt took much longer to complete than you think. I love how she mixed all of the greens, navys, and pinks in the line. 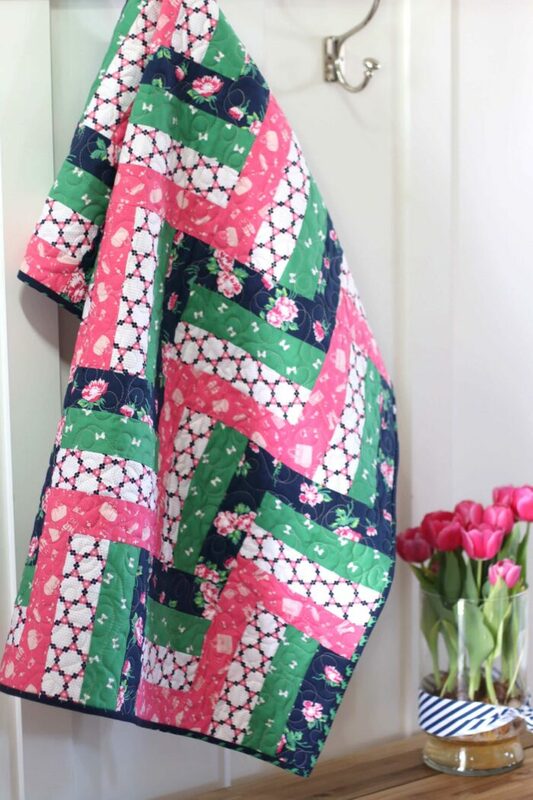 It gives the quilt such a fun, bright and preppy feel. 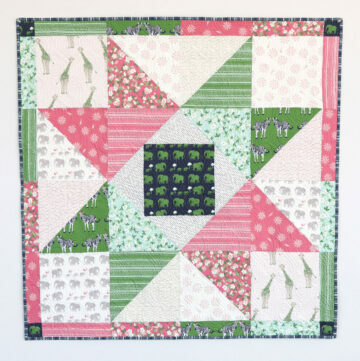 To grab the tutorial for the quilt; just hop on over to Amy’s site by CLICKING HERE. 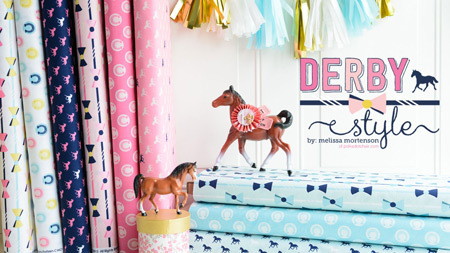 To see more projects using Derby Day Fabric just CLICK HERE. You can find the fabric in your local quilt shop. 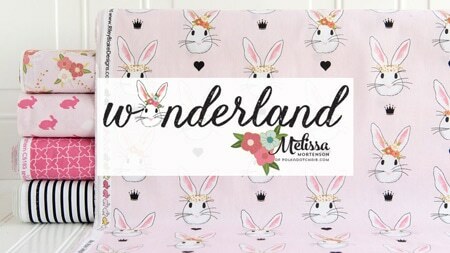 I know that Hawthorne Threads, Fat Quarter Shop, Missouri Star Quilt Co, and Etsy also have it in stock now as well.